The Flower Shop: Summer In Fairbrook is the first game in The Flower Shop series of visual novels produced by Winter Wolves. A large part of the gameplay also has players managing a farm while creating relationships with characters in the game. The game revolves around Steve who is on break from college. Steve has just recently split from his girlfriend and his dad decides to send him off to his uncle’s farm for the summer rather than having him at home. 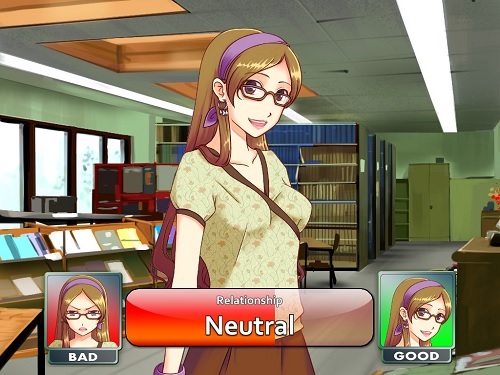 Needless to say Steve doesn’t start out the game in a very happy mood but after discovering four girls that have the potential of a romantic relationship he turns around by the end of the game. Summer In Fairbrook is all about deciding how to spend your time as Steve. While much of your time is spent on the farm raising crops to sell for profit he still has plenty of free time to spend romancing the four available girls and doing all the normal things a college student loves to do on his college break. Many of these activities can increase your skills in particular areas to help you in the game or be used to impress girls. 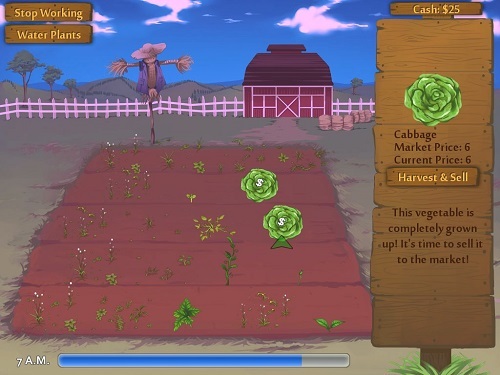 Raising crops has multiple game mechanics to it including the purchasing of seeds, planting, watering and clearing the land of weeds. If you can successfully grow your crops then you’ll be able to visit the market to sell them for better seeds and some pocket money. On the romancing side of gameplay players will engage in a number of activities with each of the girls which in turns increases how much of a relationship they have with Steve. Just like in real life building a relationship takes time, skills and lots of talking. Depending on the relationships you pursue you can experience one of nine different endings which are saved in the archives to be viewed later which encourages you to try and collect them all. Mixture of visual novel and farming game. Plenty of activities and dates to go on. Available on a large number of platforms including free demos on iOS and Android.